We are happy you stopped by to visit. 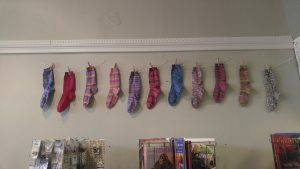 We are are a small, locally owned, fiber arts shop. While the shop itself may be small, we are big on selection, service and smiles. 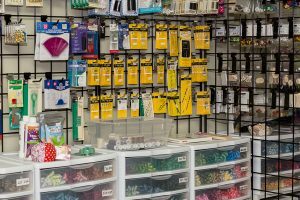 We carry a wide range of fiber hobby supplies sure to suit your interest and price range. If you would like to get started with the basics of any of these areas, please call to arrange a time and we will be happy to get you started. We are available during normal business hours to accommodate one on one (possibly two) at no charge. 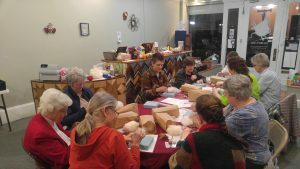 We do on occasion hold after hours, fee-based classes for larger groups. 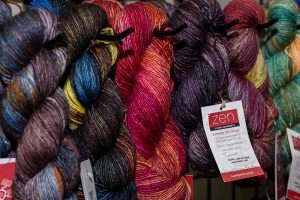 Cascade: 220Superwash; Alpaca Lace & Peruvian Tones; Cherub DK; Cherub Chunky; Hampton; Heritage and Heritage Paints; Magnum; Pacific Sport; Roslyn; Sarasota; Ultra Pima (white only at this time). 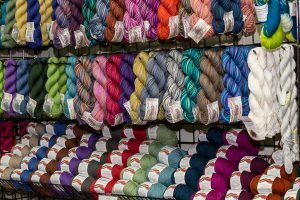 With brands like ChiaoGoo, Knit Picks, Hiya Hiya, Knitter’s Pride and Susan Bates you are sure to find what you need. If there is anything we don’t happen to have we will do our best to find it for you. We stock the entire color line of DMC 6-strand floss!!! 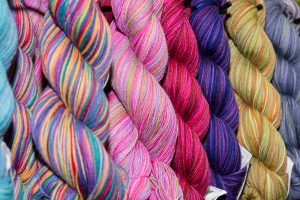 If you have a preference for hand dyed or custom floss, we may be able to order those as well. 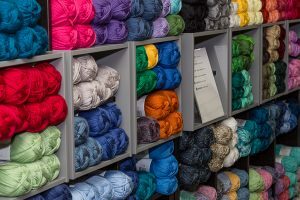 We stock a limited amount of patterns and stitching fabrics but are happy to order just about anything you need. 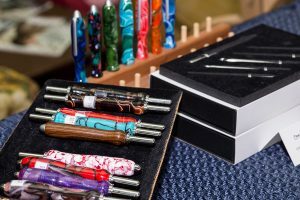 If you are looking for a gift for the fiber hobbyist in your life, we offer gift certificates and unique, hobby related “fun stuff”. 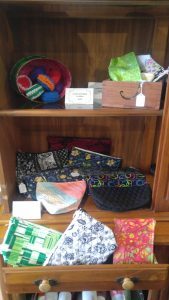 We currently have handturned yarn bowls (these also make nice decor pieces), crocheted “scrubbies”, colorful and useful project bags, custom seam rippers and crochet hook sets, and locally made decorative spindles. 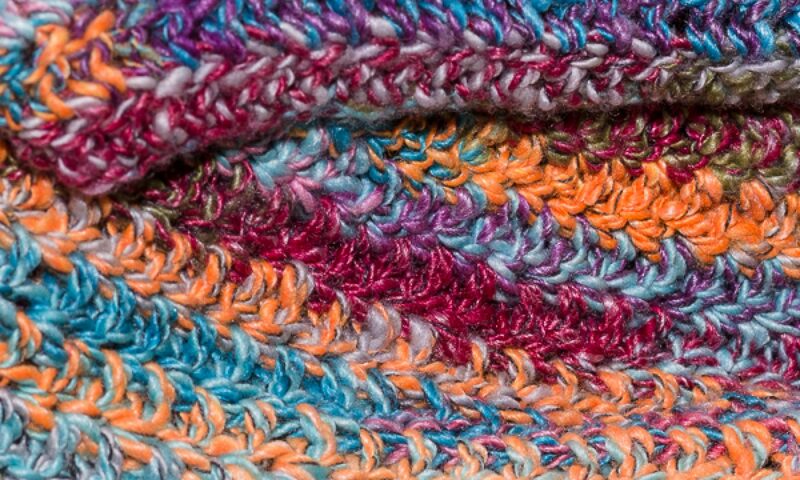 Fiber and friends, what better therapy could there be? 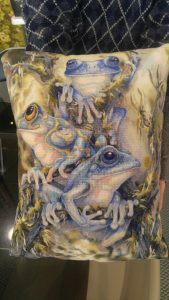 Come join us and share your latest project and see what others are up to. 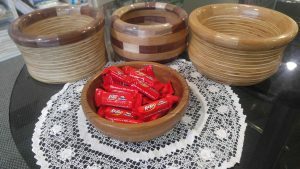 There is coffee, tea and sometimes even snacks available to enjoy while you relax. Follow us on Facebook to see beautiful and fun projects done by our customers and information on upcoming classes, KAL’s or play days. The Bird’s Nest was lovingly named in memory of my mother-in-law whose name was Byrda (but most referred to her as Birdie). She loved all things cooking and crafting and often encouraged me to try new things. I hope to share that same encouragement and enthusiasm with others so they might feel as welcomed as she always made me feel. 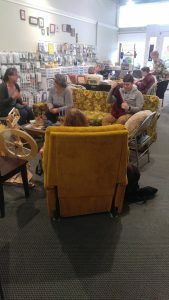 So drop by and see us at “The Nest” and get started on your next project.